Sleet, snow and sunny spells are expected for today, Saturday, February 2, across Nottinghamshire. The Met Office has forecast a mixture of sleet, snow showers and sunny spells during the morning, today, Saturday, February 2, across Derbyshire. Showers will become confined to the east, according to the Met Office, and are expected to fall as sleet. But forecasters say it should be mostly fine and dry by this afternoon but cold and breezy. By tonight, the Met Office has forecast clear skies developing with some patchy freezing fog possibly forming towards dawn. It is expected to continue to feel cold with lighter winds. Temperatures are expected to reach highs of around three degrees centigrade and lows of minus two degrees. Elsewhere, snow and ice has caused disruption across the UK with up to seven-and-a-half inches of snow in south-east England. 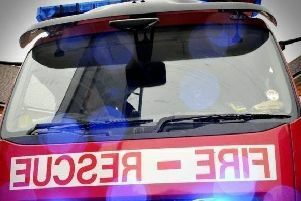 Hampshire and Kent have been badly affected with motorists stranded as the emergency services have been dealing with hundreds of calls overnight. The M3 in Basingstoke was particularly badly affected.